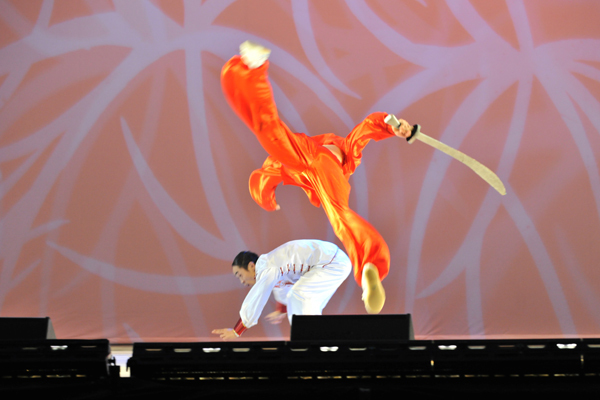 Based on Shaolin Fist, a punching style, martial artists transform the well-disciplined combat energy into the art of kinetic interval. 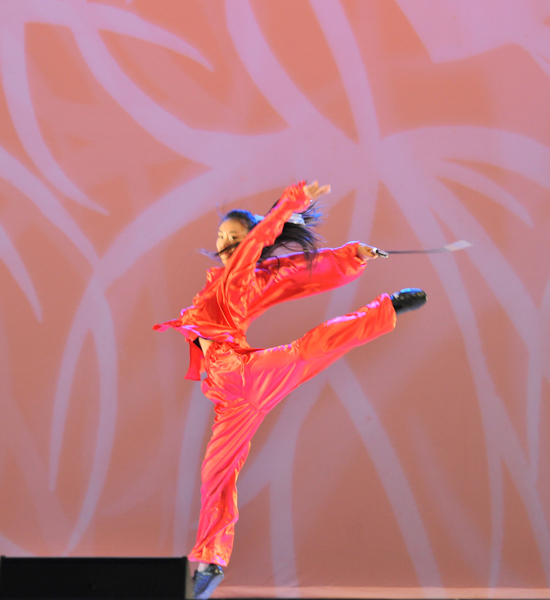 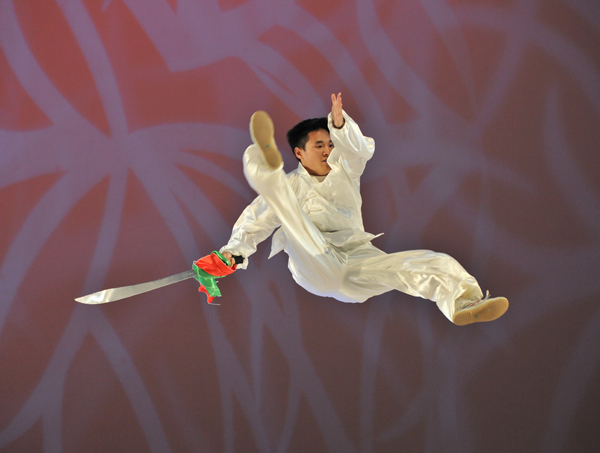 Showcasing all kinds of martial arts weapons in group, duet and solo. 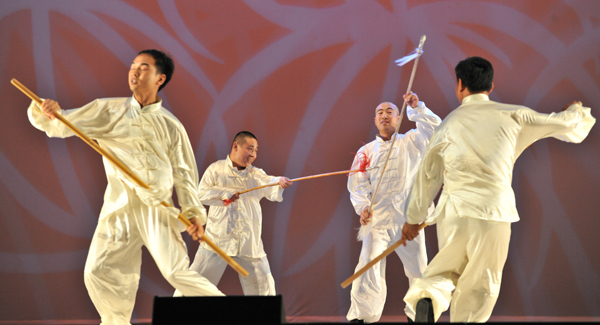 The idiom “ Dao, Qing, Jian, Ji” -- literal translation is knives, long spears, swords and Chinese halberds -- means one who achieves all forms of martial arts.